Since January 2018, the journal has no issues and publishes articles as soon as they are accepted and approved for publication. Linking cultural intelligence and adaptive performance: do intercultural interactions and Host University Support™ play important roles? 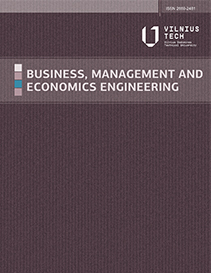 We would like to invite you to submit your research papers to the International Scientific Conference „Contemporary Issues in Business, Management and Economics Engineering (CIBMEE-2019).